Korres Milk Proteins Cleansing Wipes 25 pieces order online. 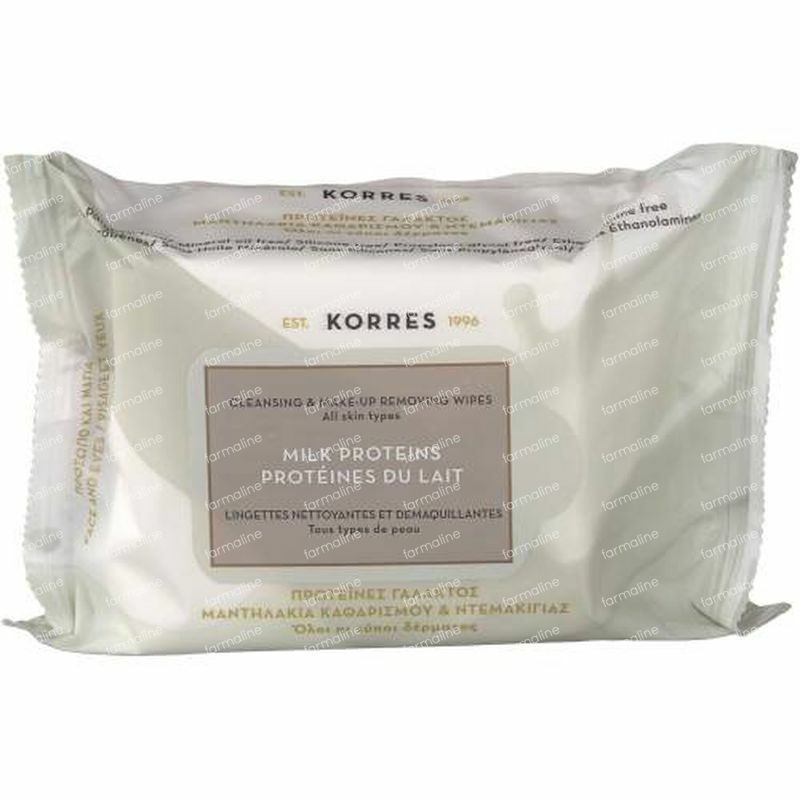 The Korres Milk Proteins Cleansing Wipes are a quick and easy way to cleanse your skin while giving it a soothing and hydrating effect. 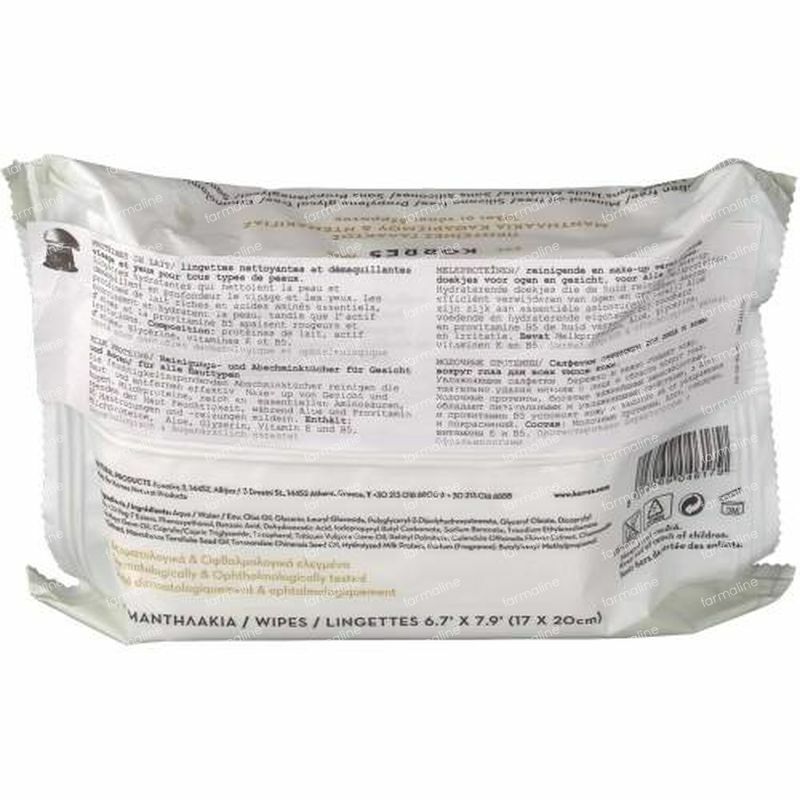 Enriched with milk proteins, these wipes will condition the skin and remove all traces of makeup or impurities, in order to let the skin breathe freely again. Perfectly prepared for following treatments. A quick and easy cleansing wipe with hydrating milk proteins and calendula extract to cleanse the skin. Suitable for all skintypes. In order to remove makeup and impurities from the skin, take one of the Korres Milk Proteins Cleansing Wipes and gently wipe the skin clean. Repeat the process until the skin is fully cleansed.